The future Textile Policy should be therefore on the one hand to facilitate unhindered growth of the textile industry with a balanced long term policy right from the raw material to the finished products in a holistic manner. 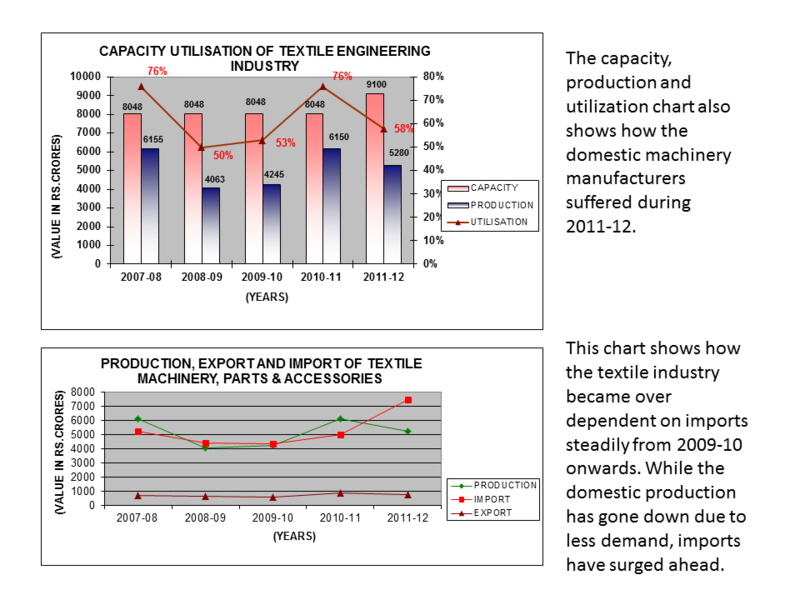 In the past, it was observed that there had been kneejerk reactions from the Government for different sectors of the textile industry which resulted in imbalance and hampered the growth. A natural question comes to every concerned person in the country why there are no manufacturers of high quality high speed shuttleless looms in the country.